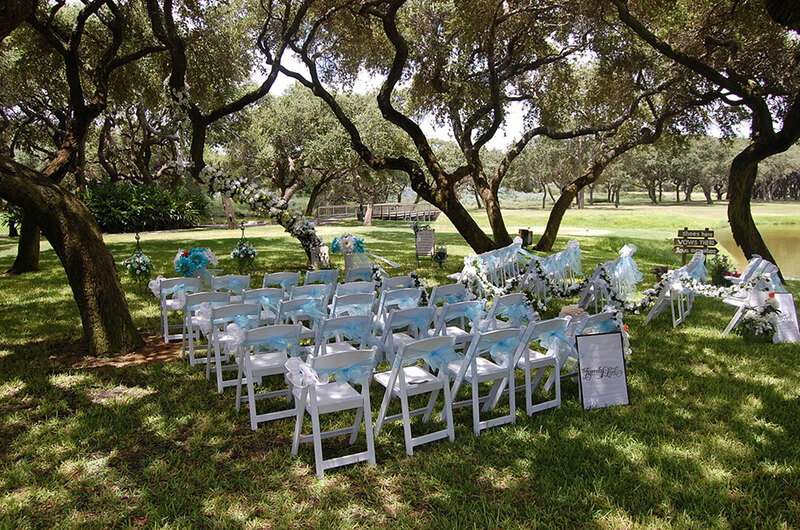 Welcome to Rockport Country Club, the premier Ceremony, Reception and Banquet facility on the Texas Live Oak Peninsula. You and your guests will enjoy the private club prestige and the highest service standards the area has to offer. Our breathtaking views and native wildlife make for a truly romantic reception that you and your guests will always remember. ​Plan your event - Please click here to tell us about your event! Rockport Country Club will make your vision of the perfect wedding day a reality. Our custom designed wedding packages are built to fit your dreams and your budget. Our wedding services include complimentary parking, full bar options, seated gourmet meal or bridal buffet, bridal gift tables and so much more. Every detail matters and no request is too small or large. It is your day and we want it to be perfect! Our professional staff will assist you in finalizing all the event details for the most important day of your life.